Our publisher direct, full service, 100% brand safe, approach delivers results that speak for themselves. 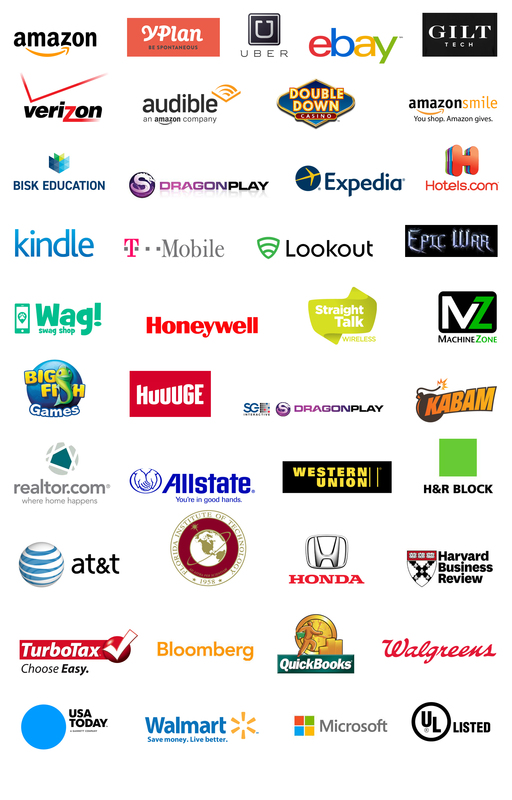 Here's a few of our advertising partners. Allstate, AT&T, Bloomberg, Florida Tech University, Honda, H&R Block, Harvard Business Review, Microsoft, Turbo Tax, USA Today, QuickBooks, Realtor.com, Walgreens, Walmart, Western Union and many, many more.